Brickwork & concrete masonry can be used for a variety of decorative and structural applications. Bowman Masonry & Waterproofing specializes in residential and commercial masonry applications such as brickwork and concrete blocks for walkways, patios, block foundations, chimneys and retaining walls. 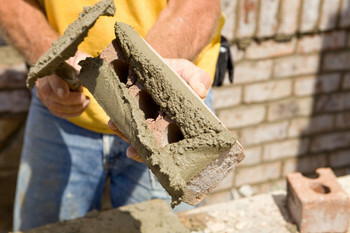 We offer a wide range of masonry services, from custom brickwork design to restoration and repair. 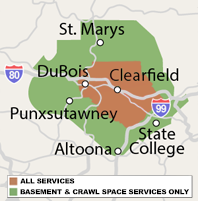 Call us at 1-844-385-9894 or click below to request an on-site consultation and free quote in Saint Marys, Bellefonte, Altoona, State College, Du Bois and surrounding Pennsylvania! In addition to bricklaying and concrete masonry installation, our skilled contractors can also restore your existing masonry to its original condition. We can repair water damage, stained surfaces, and repair missing brick and mortar. We are your local expert for all your masonry and concrete repair needs. As Greater Clearfield's brickwork and concrete contractor, we serve Pennsylvania Furnace, Brockway, Port Matilda, Tyrone, Ridgway, Kersey and many surrounding areas. Contact us to request a free estimate for any of our masonry installation, repair, and restoration services.